Business VOIP is now one of the most popular ways for organizations to trim costs of telephony services as it offers reduced costs over traditional phone lines, while also offering full support. Additionally, business VOIP options are available for every size organization regardless of their needs and offers extreme flexibility for customers that are situated in different locations, and networks from one simple hosted PBX exchange, which make it hard to beat in terms of management and practicability. 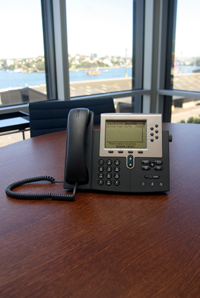 The first benefit that business VOIP can offer your organization that usually catches the most attention is the price. Once of the reasons that VOIP is such an excellent option is because outside of purchasing telephones that support VOIP there are no other start up costs. Installation of the virtual PBX exchange to host the VOIP is a simple process and in the case of hosted PBX is taken care of quickly by the agent that you choose to outsource the technical support to. Even in the case of keeping business VOIP lines in house with an organization’s IT team it is still quite easy and quick to set up a virtual PBX. The second benefit is the fact that business VOIP offers an extremely high amount of business continuity which is the core reason why so many organizations choose to use it over other telephony systems. If an organization chooses to go with to go with a hosted PBX exchange to host the service than every conversation is routed through secure data centres which means that all phone calls can be recovered in the case of a disaster which is something that traditional phone telephony services can offer a business. Finally, the future perks of choosing to use a business VOIP service is that as the technology behind VOIP continues to expand so will the features that can be offered via this unique innovation. Even now, there are many intuitive features built into most business VOIP services including directories, messaging, automatic technical support, flexibility of location, conferring, mobile phone integration, and soft phones. Combine these attributes with the low price and business continuity, and it will be hard to turn away from the attractive VOIP services that are available on the market.